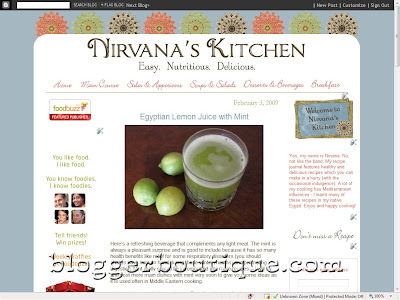 Does your blog need a makeover? Are you in need of a fresh new header, or background, or maybe a cool sidebar slideshow? This week I’m teaming up with Ragan from Blogger Boutique to give away a $25 gift certificate to BloggerBoutique.com! To be entered to receive a $25 gift certificate to BloggerBoutique.com, all you have to do is leave a comment on this post. One entry per person, please! The winner will be chosen by his or her comment number, which will be picked by Random.org’s number generator. Contest will run until 11:59 pm CST on Thursday, March 26. Previous PostIced Mocha Next PostA Digi-scrappin’ freebie! I still love my green…but I would love a blog makeover!! thank you for this beautiful kit :) love it! super cute! thanks so much!!! Super cute kit! I may try to use it to revamp my blog. THanks for sharing! Love getting email from you and I always open each one thank you for including me……you two look so cute!!!! I have been visiting your site for over a year now and just when I don’t think that it can get any better… it does!!! Thanks for being such an inspiration! Yay, a new recipe! I can’t wait to try it out! I caught my kitchen on fire making the tortillas last time so hopefully this time things go much easier! Hi Amanda. Happy first date anniversary! I wish I could remember when my first date was. You even have the picture of your first date, how cool is that? The giveaway sounds great. Can’t wait for the result of the winner. I love your site! And yes I would like to be entered into the contest! Love your blog and your fonts!! Love, love!! Oh please, oh please let the generator pick me!! I would love to update my blog. what a super fab giveaway! yeah! Amanda, I always enjoy looking at your site! I do not know how to blog, and although I am interested, it seems as though it would take quite alot of time??! Could you do a tutorial on how to get started? As I said the last time…you should have been a teacher! Of course I’d like to win…but you will have to show me (or possibly some others) how to use our gift!The iced coffee sounds great too! I just found your website – I actually have you bookmarked for free Pea fonts, but never looked past it! Wow! I can’t wait to browse around! Congrats on 8 years! Hubby and I are celebrating our 10th anniv this year. Love the bright colors and your blog is just the cutest. Hope I have the lucky number this time…my blog could use a makeover! I love that you have been giving away cool stuff lately. I hope I win this time. Very cute photos of the two of you.. how time flies huh! I was just thinking how badly I need a make over.. for my blog… (lol.. ok me too) I am not just saying this.. 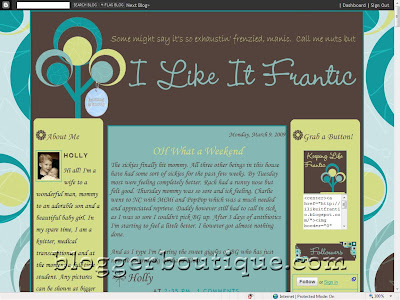 I was thinking of whos blog do I love how it looks.. and before I ever saw this post I wondered if you did blog makeovers. Congrats on 8 years!! Love your blog! Thank you for the free fonts! Your great! Hi! My blog could totally use a makeover seeing as how I don’t know how to change it! Sounds fun! We having another baby in June and as soon as we get a picture of the 4 of us, I’d like to do a new header! Good luck to me! Congrats! You’re almost to the big 1-0! I am so glad I found your site! It’s amazing. I love the recipes and the soup you posted looks so good I will have to try it here readlly soon! I could use a pick me up! 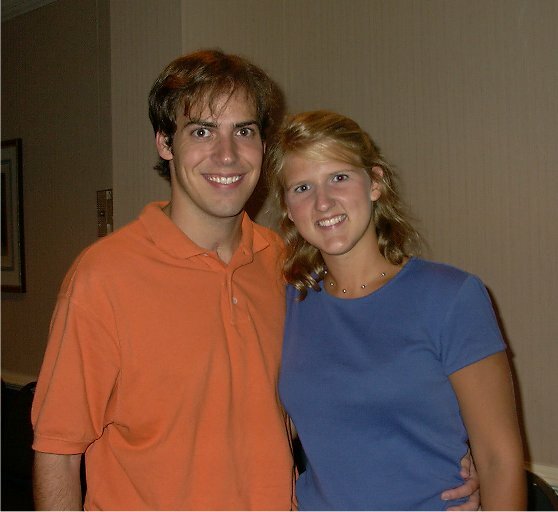 Hi you two you are almost to the big 10 yr……celebration. You know you that both of you are special people and will be a blessing to all the people you touch. Keep us the great works. I don’t even have a blog so I think I really need to win this one! Thanks for keeping it fun. Thanks for sharing the recipe. It looks delicious and I can’t wait to try it! How much I enjoy your blog even though I do not know you, but I have been receiving it for a long time and feel like I know you. By the way what part of the U.S do you live. I live in Texas. Congrats on the anniversary of your first date! Great photos by the way and thanks for opportunity to win the blog facelift! Look how plain mine is! Pick me please! Wow, could I ever use a blog makeover! I’m getting better at the whole code thing, but I have a looooong way to go, lol! The soup looks delicious, I’m going to try it the next time I get chicken in sale. I am mostly a silent lurker, but I’ve been going to ask you a billion times if you or someone you know would like to re-make my blogs. I would LOVE to do them myself and I could, but I just never get around to it! I need a rountoit, but I don’t have any extras! Hope I win, and glad I clicked through. . . love, love, the the tags! Your soup looks great! I need to try it because it looks like something my husband would love! Thanks for giving all of us the opportunity to share our great talents! You truly inspire me. Ps. Now, if I could only be so lucky to win one. I am in desperate need of a massive makeover. Anything would help, lol. Mmmm I might have to change my plans on what I was making for dinner. Mmmmm, can’t wait to try your creamy chicken & dumpling recipe, it’s one of my favorites! Thanks for the great recipes and fonts! Love your blog! I am a real fan of your work and have been for probably 5 years or so, when I first discovered you at SJ. :) Congratulations on your CK photo! I love this site! I wish I knew how to do all of this fun stuff, it amazes me how AWESOME it looks! Definitely makes my day when coming and finding all of the yummy recipes and great fonts! YOU ROCK! I stumbled upon your sight but I believe everything happens for a reason. I sent about 2 hours checking things out the first time then (the next day) spent another 2 hours discovering my favorite part your recipes!!! Your Blog is gorgeous but most importantly has inspired me to begin an old passion of cooking again..yummy your Nachos recipe is amazing! Also, I LOVE your photo from 8 years ago and then your recent one. What a wonderful way to stay connected with the past and see how life evolves! Amanda, you are so creative!! Congratulations on 8 years. May you have many more! The soup looks great!!! I do not have a blog spot yet but would love a chance to start one, thanks so much. The soup looks so yummy, can’t wait to try it. Love the old/new pics! We are definitley in need of a cute makeover. Thanks for the opportunity!! I would love a blog make over!!! Thanks for the new recipe! I love the old and new picture-very cute :)-Fantastic giveaway!!! With snow expected this weekend–your chicken and dumplings looks like just the ticket to warm the weekend! Can’t wait to give it a try. Thanks for the chance to win. I love looking at your blog! It is so colorful and easy to read. I am thinking about starting my own and would love it to be as fun as yours!!! I have been looking for a recipe for chicken and dumplings. Can’t wait to try yours! The chicken and dumplings sound yummy. I must try that. It sounds like something Addison would like! Wow! I would love a blog makeover! Can’t wait to try the new recipe! Your blog is beautiful. I wish I was a little more computer savvy & could make my blog look like yours! everything and how you put things together,now I need to check out Ragan’s site.